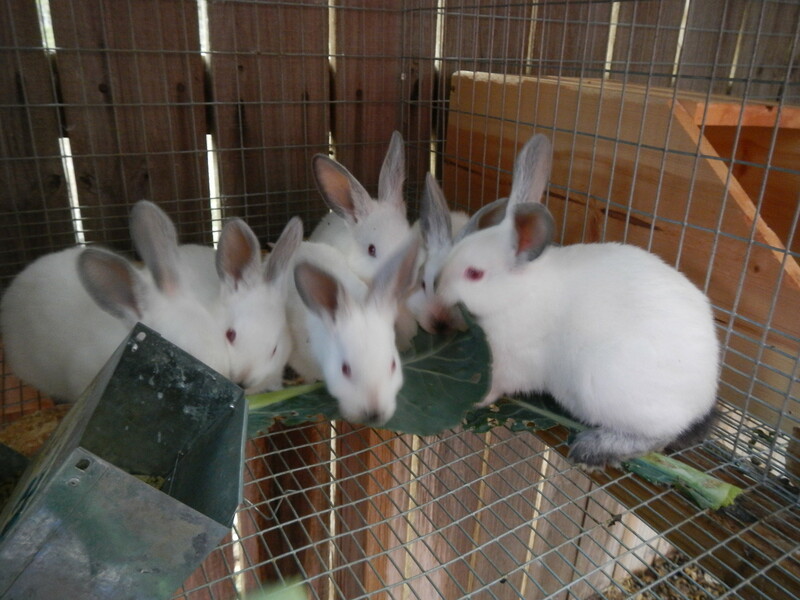 The rabbits are a great addition to the garden, as long as they are not “in the garden”. While watering this morning I found that I had let a cauliflower plant go way too long. It is great to know that nothing will go to waste, even if it won’t be served at my kitchen table. 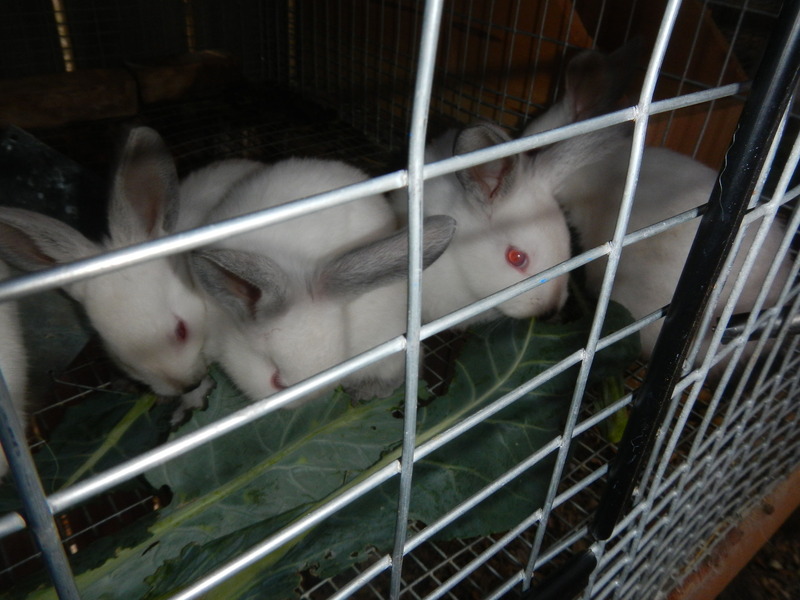 These month old kits quickly devoured these cauliflower leaves. I can only imagine what they would do it let loose in my vegetable garden. There are only 6 in this photo, but we got a total of 8 in this litter. 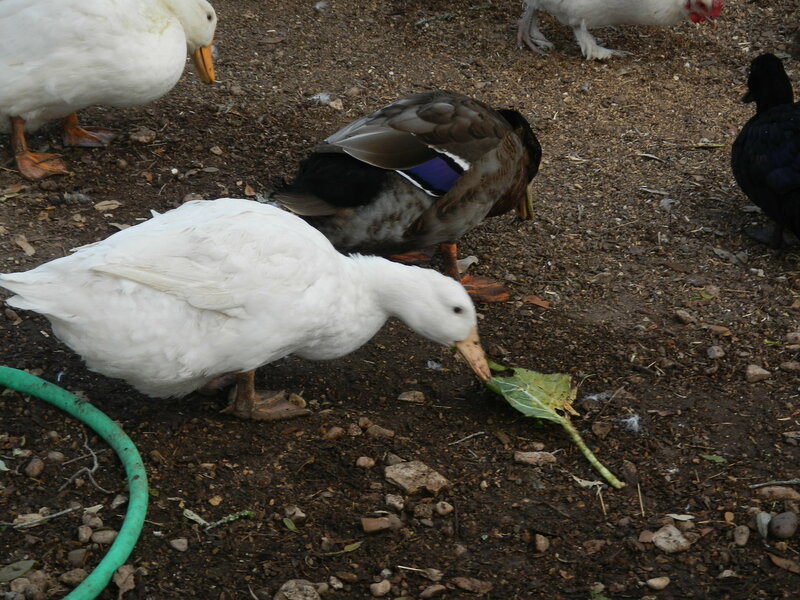 I gave some to the chickens/ducks as well.